Glossy stone resin statue measures 7 1/4-inches tall. A high-shine approach to Steamboat Willie's black-and white-persona, this glossy stone resin piece features "diamond dust" accents, graphic patterns, and a cherry red platform. 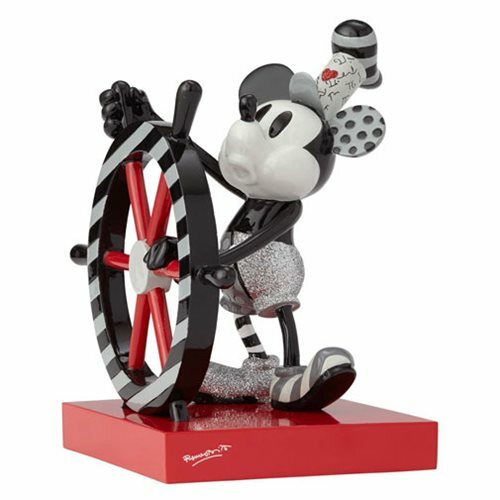 The Disney Steamboat Willie Statue by Romero Britto measures approximately 6 1/4-inches tall x 7-inches wide x 5-inches long. It's amazing!